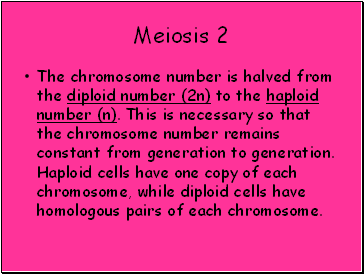 The chromosome number is halved from the diploid number (2n) to the haploid number (n). 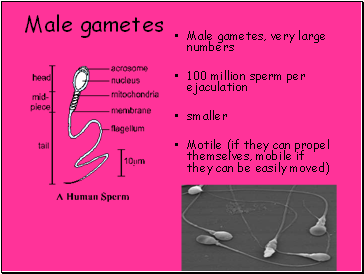 This is necessary so that the chromosome number remains constant from generation to generation. Haploid cells have one copy of each chromosome, while diploid cells have homologous pairs of each chromosome. 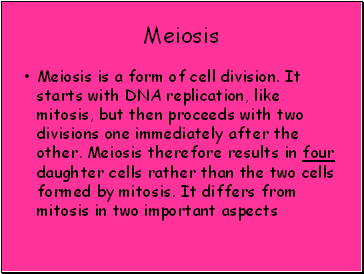 The chromosomes are re-arranged during meiosis to form new combinations of genes. 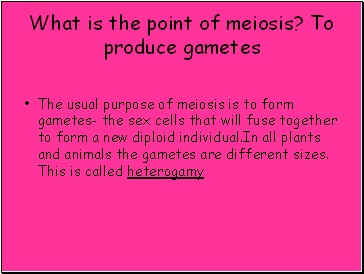 This genetic recombination is vitally important and is a major source of genetic variation. 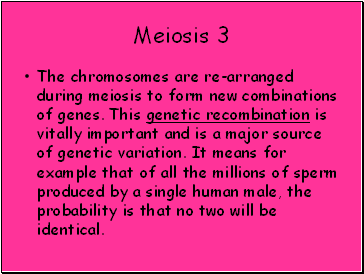 It means for example that of all the millions of sperm produced by a single human male, the probability is that no two will be identical. 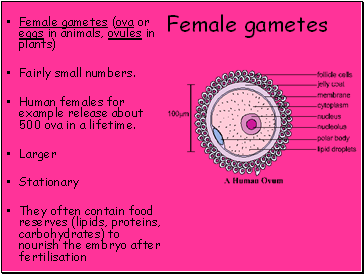 Human females for example release about 500 ova in a lifetime.